It’s that time of year again!! Time to sign up for our biggest event of the year – Threshold Training’s Main Event. This year it is Friday Night Lights Main Event!! FNL starts on Friday, February 22 and runs every Friday night for 5 weeks,ending Friday, March 22. Get excited, check out the changes this year and sign up by February 8th. If you have any questions after reading through this post, don’t hesitate to ask a Coach. We want huge participation numbers! This event is for everyone- We can’t wait to support you all! 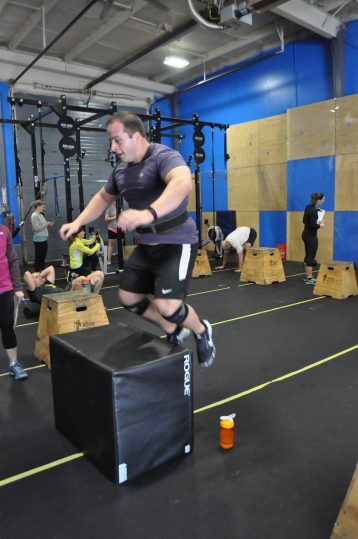 FNL is a weekly event thrown at Threshold Training every Friday night for the 5 weeks of the CF Open: CrossFit Open. The gym sets up in a competition style format, and FNL athletes will complete the Open workout for that week in a series of heats, with specified movement standards and judges. In addition to simply running CF Open workouts Friday Night Lights style we have the MAIN EVENT-An Intramural Event. This is a great way to build our community during the CF open season. The focus is on inclusion and celebration and less on competition (however there is a fair amount of that too.) The Main Event is for EVERYONE. 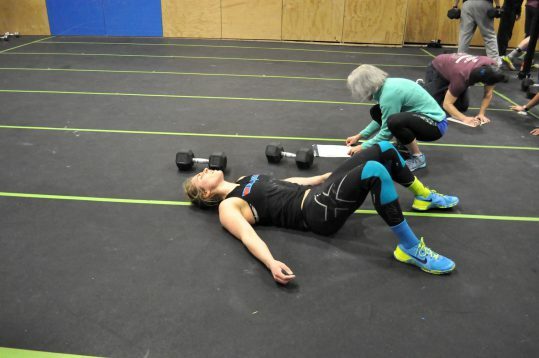 No matter your training age, limitations, injuries, time away, you can still help your team. You not only complete the weekly workouts dictated by CF HQ, you also work with your team to earn points through other weekly challenges. (How are your crossword puzzle skills ?!?) These typically happen on Tuesdays during group class. It is 5 weeks of hard work, camaraderie, and tons of fun. You in?? Continue for as many heats as needed for all athletes to go. All depends on how long the workout is. -Tuesdays: Weekly Challenges completed during group classes. HOW DO YOU DECIDE WHAT TEAM I AM ON? Registration closes February 8th. Everyone who has signed up for the Main Event will be “drafted” by coaches in a closed-door draft. Any athlete that registers after the Draft will be randomly assigned to a team, so get in early! WHAT IF I AM AWAY 1 or 2 WEEKS? It happens- we get it. Especially since one of the weeks falls under school vacation week. You simply miss that workout. You could still help with points if you came in during the week to participate in the weekly challenge or depending on the challenge, submit a video of you completing it. Every team is going to have an athlete or two not be able to help each week. WHAT IF I CAN’T DO THE SCALED- or any VERSION OF THE WORKOUT? This isn’t about what you could or couldn’t do last year. It’s not about what other people in the gym can or can’t do. This experience is about YOU. We want you to push outside of your comfort zone and challenge yourself. Besides, who knows when you might get that first Double Under, HSPU, Pull Up, etc.? We will be offering athletes multiple options depending on the workout. There will always be an Rx, Scaled and Bootfit version. If none of those are an option based on an injury we will certainly customize one to fit your needs to still enable you to participate. WILL FNL COUNT TOWARD MY WEEKLY CLASS COUNT? No- Main Event registration includes these sessions. I CAN’T COME AT NIGHT- CAN I STILL DO THE WORKOUT? Yes- We will be offering the workout during regular group class times. This time will also serve as prep and strategy/ game plan discussion with coaches. We encourage athletes to come in and help judge and row, bike, mobilize and/or practice if they want. 5-4-3-2-1 POINTS – for each person on your team who finishes in the top 5 (male Rx/Scaled, female Rx/Scaled and combined Bootfit) for the gym that week. POINTS (depends on team size) for Weekly Challenges. -$50 includes Team T-shirt or Tank and 5 weeks of participation. You can register below or through the Mindbody app. Please note the registration is a “package” since it includes your shirt or tank. 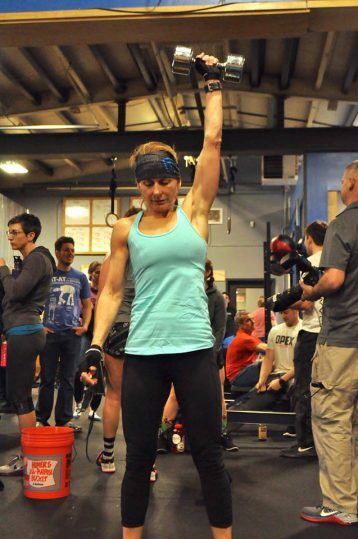 Interested in Learning more about the CrossFit Open? The CrossFit Open is an online competition that gives the world-wide CrossFit community a chance to see how they might stack up against the rest of the world in the sport of CrossFit. While the top finishers in the Open will get a chance to move on to the 2019 CrossFit Games, for most of us the Open presents other opportunities. Opportunities to challenge ourselves (regardless of ability level), to break down physical or mental barriers, to inspire each other, to support our fellow TT athletes, and to have an amazing time doing it! Every Thursday night (starting February 21) for the 5 weeks of the Open, CrossFit will release a new workout, and participants have until 7pm the following Monday to submit their scores. They can then see their ranking in the world, the region, the state, or city. NOTE: If you would like to see how you stack up against the rest of the world, you’ll either have to calculate and keep track of where you would have finished on the CrossFit.com Leaderboard, or register separately on open.crossfit.com.